Shane's Software on the side: Jolla, Vivaldi what do think of Ubuntu ? Jolla, Vivaldi what do think of Ubuntu ? 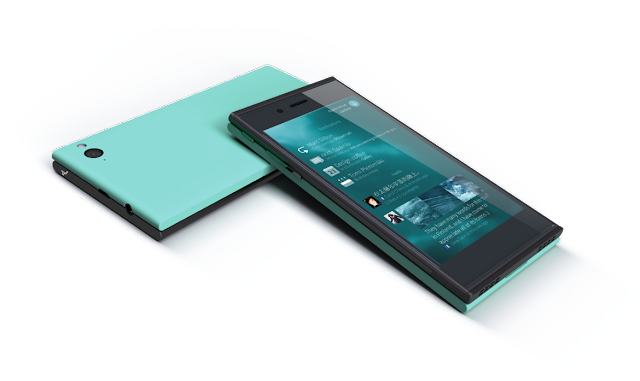 Just pre-ordered a new Jolla phone one of the successors to Meego and Maemo, who's devices I liked so much. It looks awesome and I can't wait to have proper Linux phone. Their launch is especially important for me due to a fall that caused the touch screen on my N810 to break and become almost unusable. Luckily the display itself still works just fine so I'll probably just use it in a hobby project or something. So you'll probably see some Qt apps on the blog in the not to distant future. Hopefully targeting not just Jolla but Ubuntu Touch and KDE's Vivaldi Tablet. All these other platforms do have me a little worried. Mainly in regards to which one do I want to support or more to the point which one can I support since I won't have the money to buy all three devices not to mention a Firefox OS phone. I'm slightly scared the amount of emerging platforms at the moment may make it difficult for any one of them to even get the sort of community support that went behind the Nokia N900. I think the only way to make sure they survive is to buy the first that comes out and if I have the money and it's not to wasteful the second. Here's hoping the first is a phone and the second is a tablet. If they sort out their SDKs they should be either compatible or easily portable. Meaning, if target all of them and some fail so long as one succeeds we as developers should be able to have a viable revenue stream regardless of which platform succeeds. The community is bigger and more organized, there seems to be more Linux users and r/linux pushes a lot more traffic than it used too. Needless to say, I hope every one of these platforms succeeds but if they don't, I really hope at least one of these truly thrives. The real question is which platform the community and the public as a whole will get behind and which will succeed.